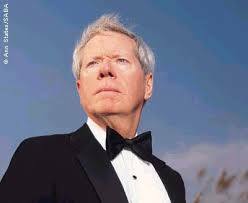 Paul Craig Roberts is back on the top of the list of dunces for his heroic defense of Iran and repeated claims that the Bush administration was horribly slandering the innocent Iranians who had no intention of developing nuclear weapons. All of which has now been proven to be as foolish and naive as his equally ridiculous beliefs about the 9/11 attacks. Reports from the IAEA and IISS show that Iran has been actively developing nuclear weapons and that they have no intention of shutting down any of their nuclear weapons development programs. They have also repeatedly asserted their right to have and use nuclear weapons. Just being so totally wrong would get Roberts the nod as featured idiot, but add in the fact that his idiocy is motivated by his rabid antisemitism and he gets to be top idiot with a gold star.